I combined Greece with Italy and enjoyed them with pasta in tomato sauce perfumed with orange zest. Defrost the spinach in the microwave, then place in a kitchen towel and squeeze to remove all the excess water. 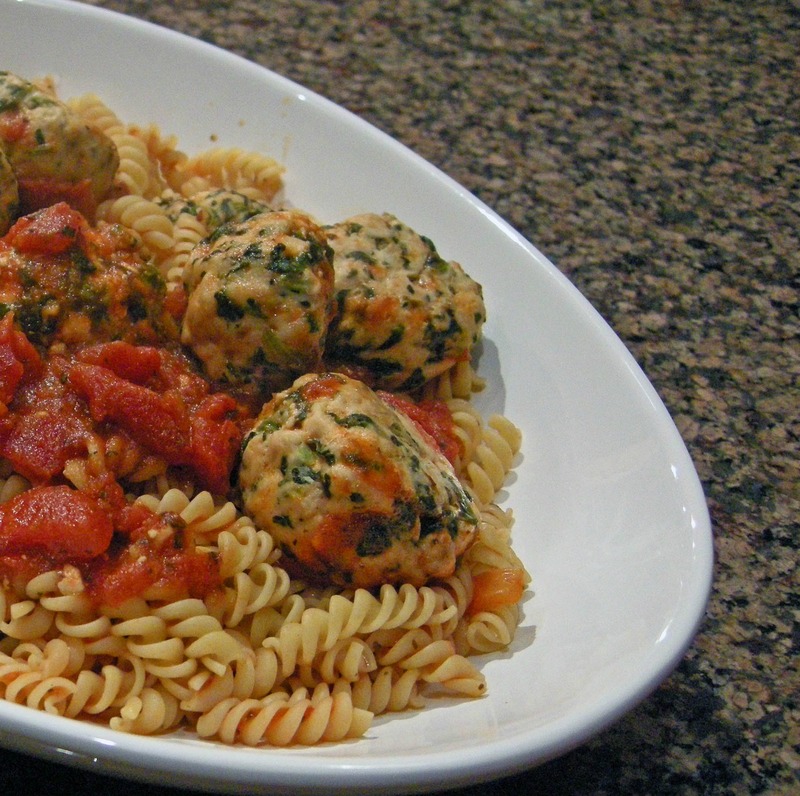 Place in a large mixing bowl with the rest of the ingredients and mix well, but don’t over mix, or the meatballs will get tough. Roll into balls the size you prefer (I made 16 balls 1.5 inches in diameter), and place on a cookie sheet lined with parchment paper (or foil lightly sprayed with olive oil). Bake for 12 minutes, turn them around and bake for 15 more minutes, or until cooked all the way through (it will depend on the size of the meatballs).